This entry was posted on March 27, 2019 at 7:01 pm	and is filed under Misc. 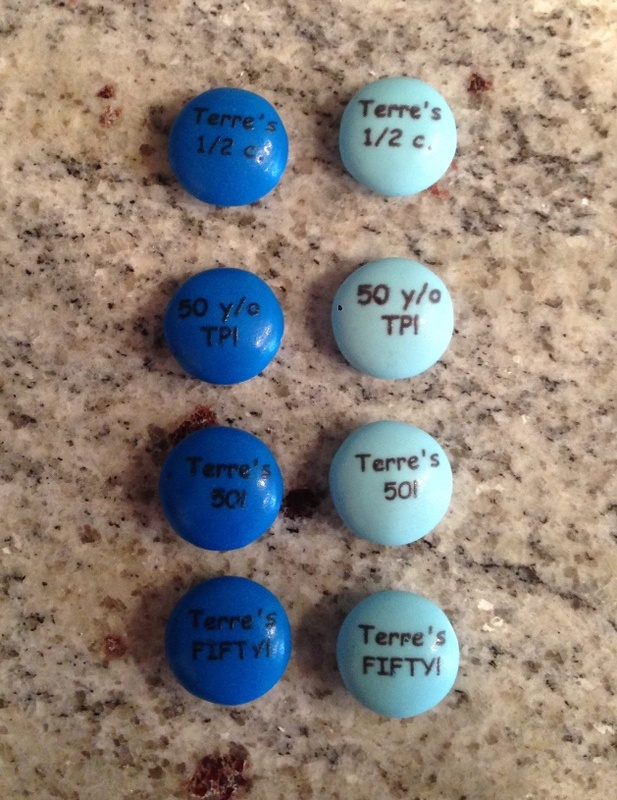 Tagged: 1/2 c., 50 years old, half century, M&M's, milestone birthday, peanut M&Ms are the best, personalized M&Ms. You can follow any responses to this entry through the RSS 2.0 feed. You can leave a response, or trackback from your own site. Your last line made me laugh 😆. A particularly helpful reminder when the YO digits keep getting bigger! Happy birthday wishes, for whenever it was! 🙂 Everyone kept coming up to me asking what they said and I would explain and they would say, “Oh, no, I just can’t see it.” Ha, ha, ha! Awww happy birthday Terre…I mean happy 50 Toilet Paper party. Hilarious reference and a fun way to personalize. Wish I was there. We missed you at the party! It was YOUR kinda party, Lady!